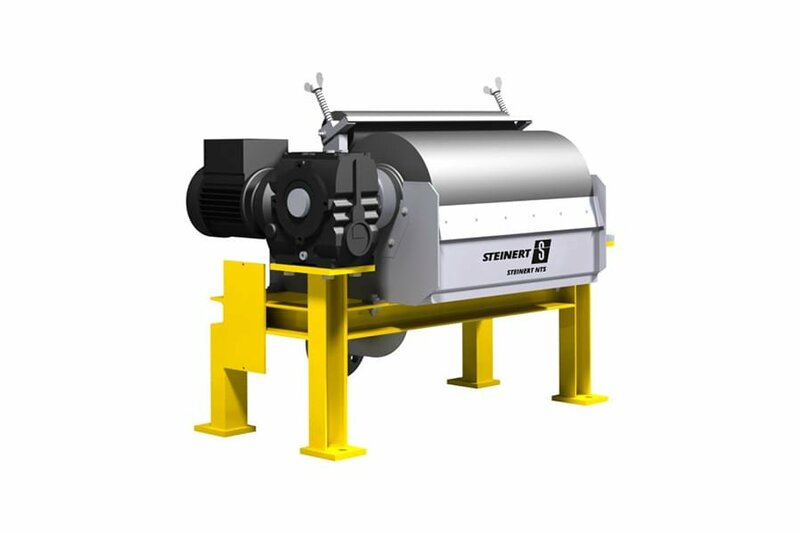 Our STEINERT wet drum magnetic separators are used in the fine grain range from 1 µm up to 3000 µm (0.001 mm – 3 mm) to separate magnetic particles from process liquids, sludges or emulsions. Their strong magnetic fields enable the efficient separation of magnetite or ferrosilicon from the wet medium. 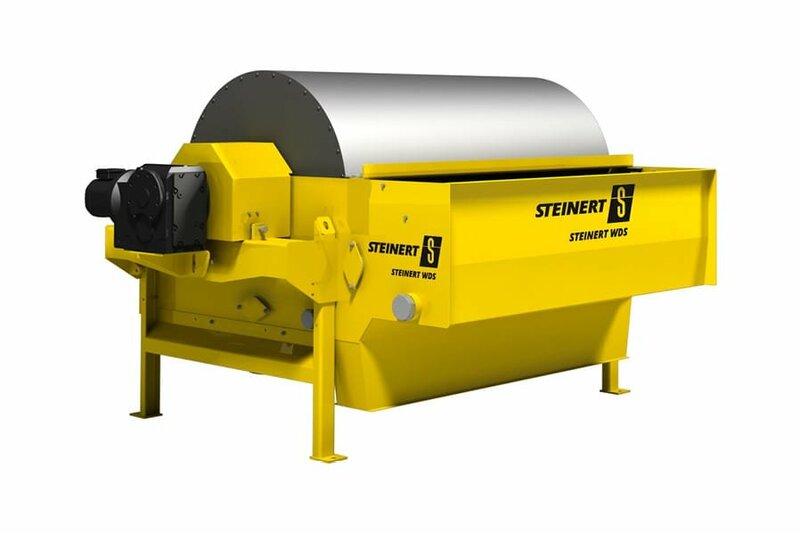 Either a combination of the STEINERT HGF matrix separator and STEINERT NTS wet drum magnetic separator or with extreme throughputs the large STEINERT WDS drum separator can be used depending on the grain size, the levels of ferromagnetic particles and the required throughput. 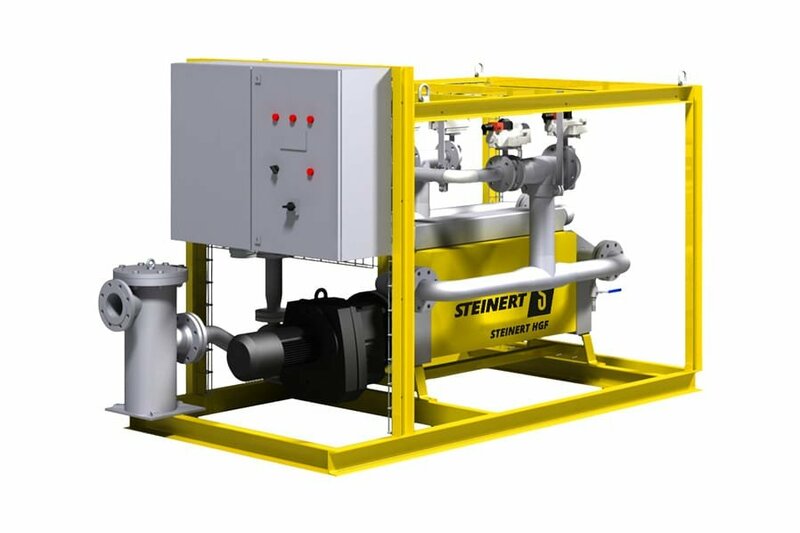 The applications range from processing heavy solutions from flotation or sink/float separation, iron ore beneficiation through to the cleaning of process water from degreasing baths or coolants. The processing objective here can be both the recovery of valuable iron particles and the avoidance of disruptive iron particles, e.g. upstream of membrane or ultra-filtration.